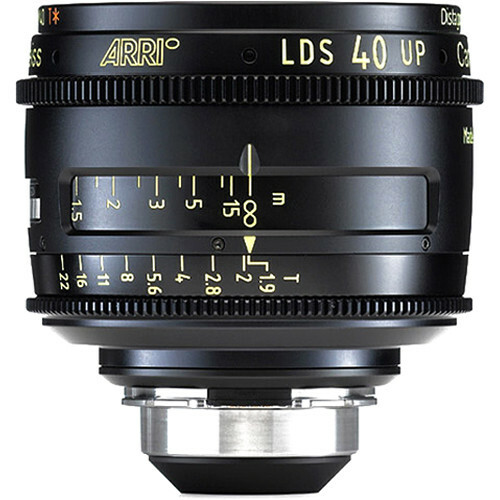 The LDS Ultra Prime 14mm T1.9 Lens creates a sharp image consistent with the other ARRI lenses in color and contrast, covers Super 35mm imagers, and integrates encoders and electronic contacts into its ARRI PL-mount. It is an internal focus lens for precise focusing, and it features fully floating lens elements that improve lens performance in close-ups. This lens is marked in feet. In addition to using the same optical elements as ARRI’s Ultra Prime series, internal encoders are built into the LDS Ultra Prime series to allow the lenses to communicate with the camera and provide metadata for use in post. Each lens maintains uniform and constant position of lens scales with similar gear positions. Color Matched to ARRI Ultra and Master primes, as well as the Alura Zooms. Increased image resolution and contrast over the entire focal length range. Internal focus design for precise and repeatable focus pulls. Built-in encoders communicate with the camera through the PL-LDS mount, which is a PL mount with electronic contacts compatible with the Lens Data System.